The Earth. 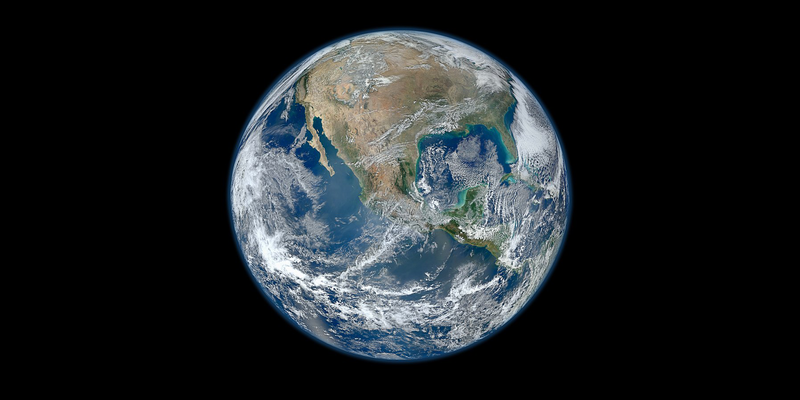 Image source (public domain): NASA/NOAA/GSFC/Suomi NPP/VIIRS/Norman Kuring - http://www.nasa.gov/multimedia/imagegallery/image_feature_2159.html. Knowing this is not simply some esoteric piece of trivia. Instead, the discovery of Earth’s great antiquity is the science of geology’s crowning achievement. Why does it matter? If Earth is only a mere 10,000 years old, then human civilization has been important for a significant portion of Earth’s history. Instead, in the context of an Earth that is 4.54 billion years old, modern human civilization hardly registers at all, amounting to trivially unimportant sliver (~0.0003%) of Earth’s history. Therefore, understanding geological time is central to understanding our place in nature and history. Think about the oldest human-made object in your home. What is it? Perhaps it is an old family heirloom such as a photo album or a knickknack. Perhaps it is an old coin or book. For most of us, such objects are not much older than 100 years, give or take. In rare cases, we may own objects that extend back into the 1800’s. Few of us possess historical artifacts older than that and most of us hold these objects in awe. Yet, compared to such human-made objects, the vastness of geological time—which is measured by millions and billions of years, and referred to by essayist John McPhee as “deep time”—is truly staggering, a view captured eloquently in a recent essay in the New York Times by Peter Brannen. Have a look at the image below (or download this PDF file), which illustrates 5,000 zeros. This image shows 5,000 individual zeros. Image by Jonathan R. Hendricks. This work is licensed under a Creative Commons Attribution-ShareAlike 4.0 International License. How many copies of this image (or page) would you need to print to reach a total of a million zeros? Now, how many copies would you need to print to reach one-billion zeros? Consider these large numbers in the context of two familiar units of time, a second and a minute. Answer the following questions by using Google’s unit converter (search for “unit converter”). What was the calendar date one-million seconds ago? How old were you one-million minutes ago? Were you alive one-billion seconds ago? What year was it one-billion minutes ago? Geologists measure events in Earth’s history in years before the present date. They use certain conventions, however, for abbreviating intervals of time. One-thousand years is represented by the abbreviation “Ka,” which means “kilo annum.” The prefex “kilo” should be familiar to you: a kilogram equals one-thousand grams and a kilometer equals one-thousand meters. Similarly, one-million years is represented by “Ma,” meaning “mega annum.” One-billion years is abbreviated as “Ga” for “giga annum.” Sometimes geologists use “Kya” and “Mya” to characterize events that occurred, respectively, thousands or millions of years ago. For example, most dinosaur species went extinct 66 Mya. The process of assigning actual ages–in years before the present date–is referred to as absolute age dating, which is covered in a later part (Section 2.2) of this chapter. In this framework, all of the historical events of the past ~150 years–from two World Wars, to the discovery of the structure of DNA, and invention of the airplane, microprocessor, and Internet–have happened in the final second of the geological calendar – one breath and a wink over the span of a year. Geology is the study of the Earth and its history. While some geologists study modern geological phenomena such as earthquakes and volcanic eruptions, much of the science is devoted to discovering the past events that shaped and created the world we live upon today. In this respect, geology is considered a historical science because it deals with events that happened long ago--typically long before humans had evolved. Just as a historian uses available records, artifacts, and other clues to paint a picture of past human lives, a geologist reconstructs the past using preserved evidence such as clues from layers of rock and the minerals and fossils found within those rocks. Geology shares good company with other historical sciences, including much of evolutionary biology, climatology, and archaeology. Astronomy is another example of a historical science: it has taken billions of years for light leaving far away galaxies (that is, galaxies that are billions of light years away) to reach the Earth, so when viewing such galaxies using powerful telescopes like the Hubble Space Telescope, we are looking backwards in time. If some of these galaxies went dark right now, observers on Earth would not know it until billions of years from now. 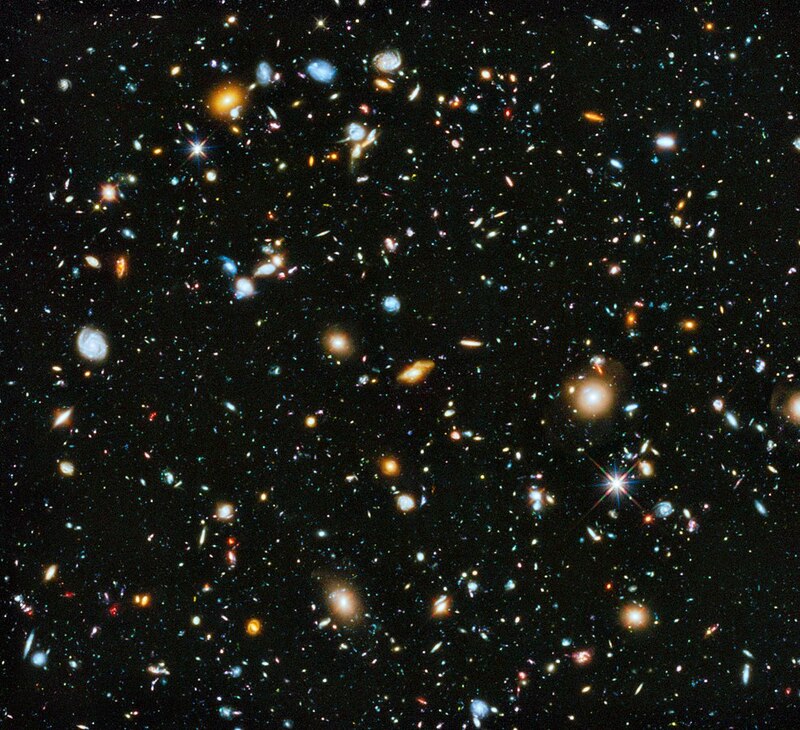 The Hubble Ultra-Deep Field image, showing many different far, far away galaxies; in most cases, it took billions of years for the light from these galaxies to reach Earth. Each galaxy shown may be composed of many billions of individual stars, each of which may have its own solar system of planets. Image by NASA, ESA, H. Teplitz and M. Rafelski (IPAC/Caltech), A. Koekemoer (STScI), R. Windhorst (Arizona State University), and Z. Levay (STScI) - http://hubblesite.org/newscenter/archive/releases/2014/27/image/a/ (image link), Public Domain, https://commons.wikimedia.org/w/index.php?curid=33189266. Our ability to use evidence left behind in rocks to interpret and reconstruct events that happened thousands, millions, or billions of years ago is dependent upon geology's most fundamental assumption: uniformitarianism. Uniformitarianism is the assumption that the chemical and physical laws of nature have not changed over the course of Earth's long history. This means, for example, that geologists assume that even billions of years ago, water froze and boiled at the same temperatures at which it does today and that Earth's gravitational force has remained more-or-less constant. Similarly, we assume that atoms of elements bonded and reacted to form chemicals in the past just as they do today. Geologists cannot prove that these things are true (just as nothing in science can be proven in any sort of metaphysical sense), but we have no evidence to suggest that the assumption of uniformitarianism should be questioned. The beauty of uniformitarianism is that it allows us to use observations of the modern world to understand Earth's history. 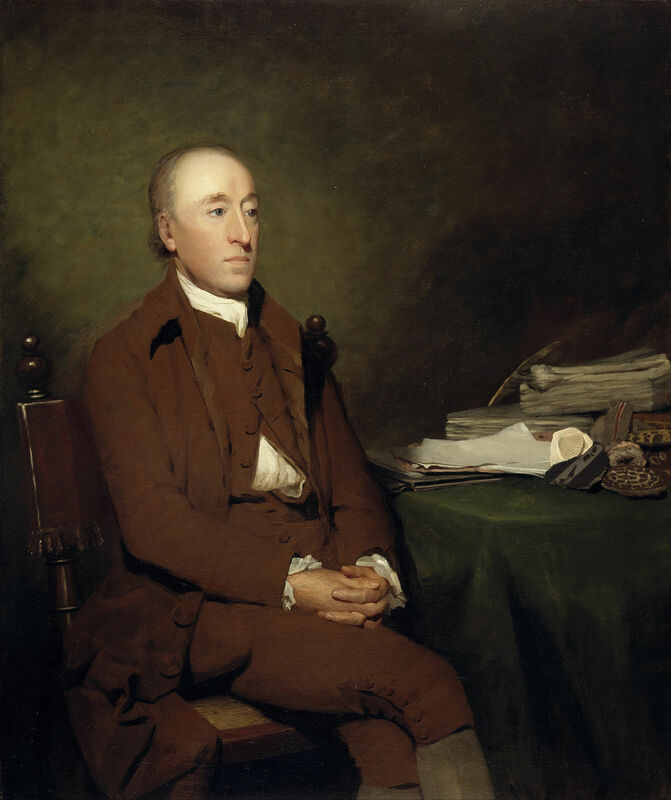 We credit James Hutton (1726-1797) with development of the assumption of uniformitarianism. Hutton was a careful observer of the landscapes around him and he paid close attention to the slow rates at which rocks naturally erode and the similarly slow rates at which new layers of sediment are formed. Given such slow rates, what were the implications for interpreting the time it must have taken to form the countless thick layers of rocks exposed at Earth's surface? Hutton's observations led him to conclude that geological time must be unimaginably vast. He asked, "What more can we require? Nothing but time." Referring to Earth's history, Hutton famously quipped that it shows "no vestige of a beginning, no prospect of an end." He viewed Earth as constantly changing and renewing itself, a view radically different from the orthodoxy of the day, which commanded that Earth had been created a few thousand years ago just as we see it today. Portrait of James Hutton by Sir Henry Raeburn (public domain; Wikimedia Commons). 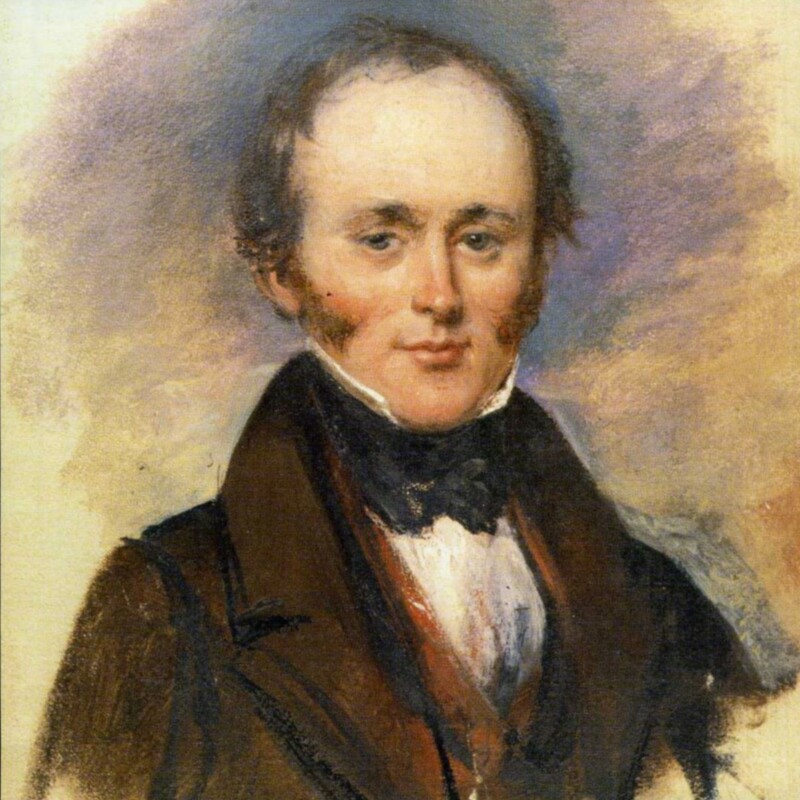 While Hutton developed the concept of uniformitarianism, Charles Lyell (1797-1875) made the idea famous in his influential book Principles of Geology, first published in 1830. Based on many observations and examples, he convinced many--and perhaps most importantly, a young Charles Darwin--that geological processes act slowly and continuously. We now know that this is not strictly true: the intensities and rates of some processes have changed over Earth's history (for example, the interior of the Earth used to be much hotter than it is today, as it once contained much more heat-generating radioactive material) and Earth's history has been occasionally punctuated by catastrophic events (such as the asteroid impact that sealed the fate of most dinosaurs 66 Mya). But, we still accept the uniformitarian view that the chemical and physical laws of nature have nevertheless remained constant over time. Portrait of Charles Lyell by Alexander Craig (1840) (public domain; Wikipedia). Fundamentally, the work of Hutton and Lyell solidified the uniformitarian view that "the present is the key to the past." This means that by studying how Earth processes work today, we can also make sense of how Earth operated in the past, as well as predict its future. Because of this, uniformitarianism is the single most important and fundamental idea in all of geology. This chapter focuses on geological time and some of the fundamental concepts (including uniformitarianism, which you have already learned about) that allow geologists and paleontologists to unravel the history of Earth and life. First, you will explore relative age dating (Section 2.1), which allows geologists to determine the sequence of events in Earth's past. Second, you will consider absolute age dating, which is the process by which geologists assign actual ages of years before the present time to rock layers and the fossils surrounding them (Section 2.2). Unraveling the sequence of past events in Earth history--especially using evidence from the fossil record--allowed geologists and paleontologists to develop the geological time scale, which serves as the calendar that Earth scientists use to communicate about ancient events (Section 2.2). Finally, you will learn about geological maps, which show the temporal distribution of rocks at Earth's surface and paint a broad picture about its history (Section 2.4). How many years ago was 15 Ka? 15,000 years ago (15 thousand years ago). How many years ago was 1.2 Ga? 1,200,000,000 years ago (1.2 billion years ago). What is the name of the geological assumption that the chemical and physical laws of nature have not changed over the course of Earth's history? How many years ago was 251 Ma? 251,000,000 years ago (251 million years ago). Who first developed the idea of uniformitarianism?